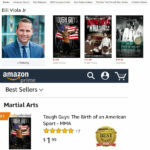 Two guys from Western Pennsylvania — Bill Viola Sr. and Frank Caliguiri — created the sport of mixed martial arts, now a billion-dollar business, years before it became a household name. 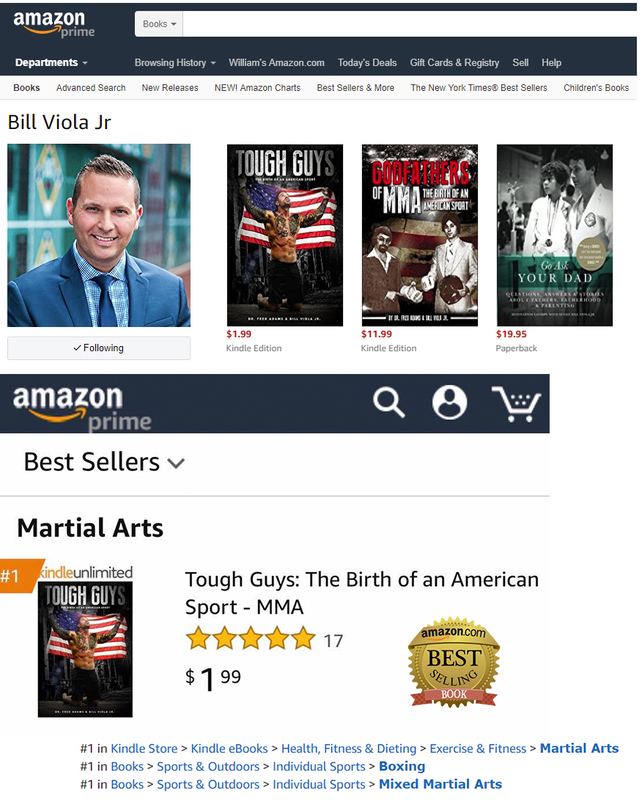 Viola Jr., 40, from North Huntingdon — who operates Viola Karate the same dojo his father founded in 1969 (then known as Allegheny Shotokan) — served as producer of “Tough Guys,” which features the origins of the MMA fighting phenomenon. 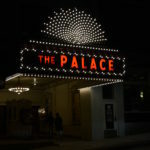 The movie premiered June 15 at the AFI DOCS Film Festival in Washington, D.C. The reason the younger Viola decided to write about his father and Caliguiri was because MMA was getting more popular and he didn’t want the true story to be lost. Viola Sr., 69, a Brownsville native who lives in North Huntingdon, and Caliguiri, 68, from New Kensington, met through karate and have been friends a long time, Viola Jr. says. They are proud of what they started long ago. Here’s how the story goes, Viola Jr. says. His dad and business partner Caliguiri were successful in martial artists and promoted karate and kickboxing. They came up with the idea of a mixed martial arts event. 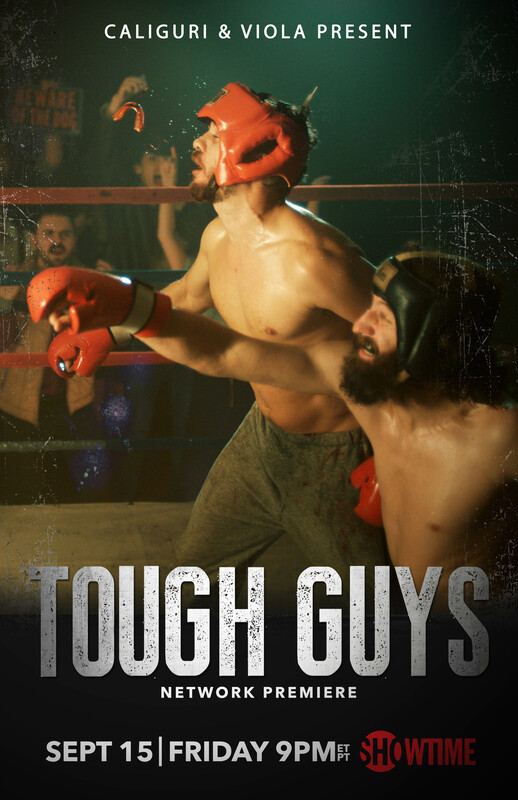 They developed an even playing field where the guys could “settle the score,” so to speak, via a competition called Tough Guys. 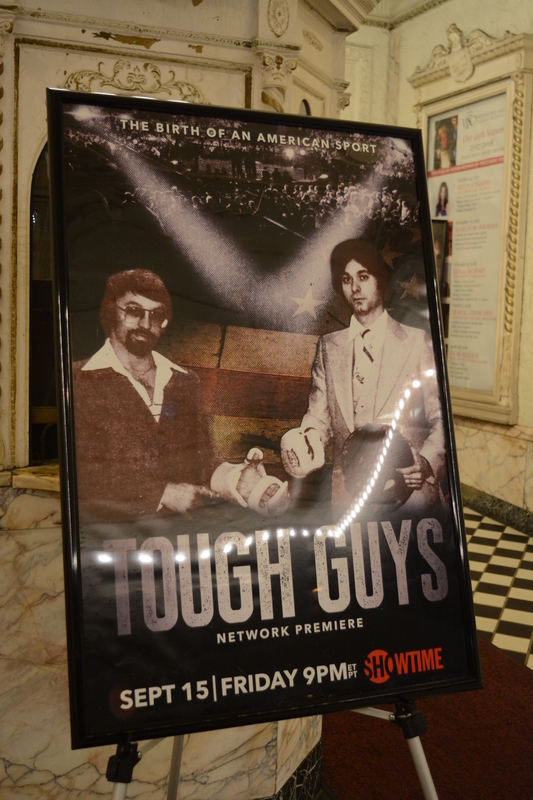 At one point, they held a finals match in the former Stanley Theater in Pittsburgh. 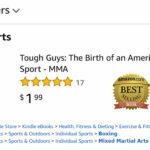 As this mixed martial arts was on the upswing, the State Athletic Commission, which oversaw boxing, stepped in and ended the competitions. After a man was killed in Johnstown — in an event not sponsored by Tough Guys, but with a similar name — it was outlawed, Viola Jr. says. In 2009, the ban was lifted and MMA became legal. That legacy is being preserved in an exhibit at the Senator John Heinz History Center in the Strip District. 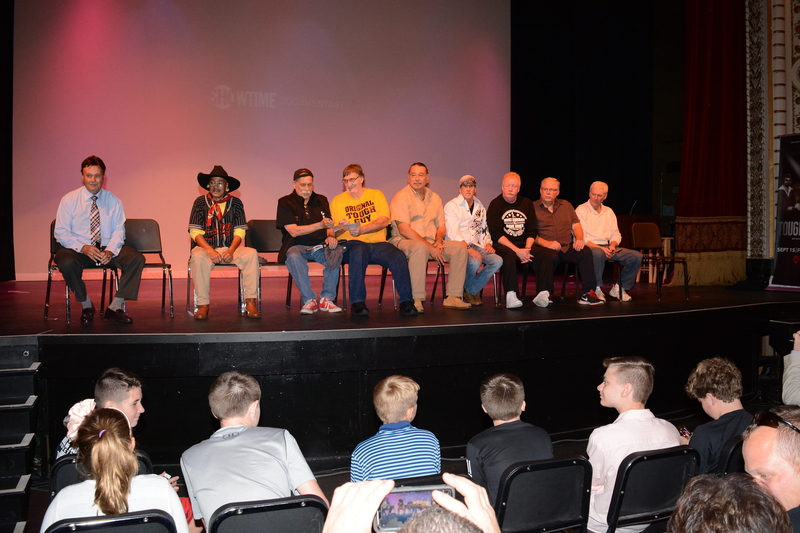 The film came into being after producers from MinusL Productions in New York City saw the history center exhibit. They teamed up with an Academy Award-winning team, including Morgan Spurlock (“Super Size Me”), to produce the film and brokered a deal with Showtime to broadcast, Viola Jr. says. She says now MMA is a big-time sports business, but when Viola Sr. and Caliguiri started they had hoped to promote the event and grow it, but then the state stepped in. The documentary is the combination of a lot of the original fighters and guys who took a chance to enter the ring, Viola Jr. says. They came from all walks of life. There are re-enactment scenes by professional actors. The timing is perfect for this, says Viola Jr., because it’s coming off the recent fight between Floyd Mayweather and Conor McGregor in Las Vegas which created a lot of interest. There is an Ultimate Fighting Championship on Sept. 16 at PPG Paints Arena in Pittsburgh, where top middleweight contender Luke Rockhold faces David Branch. 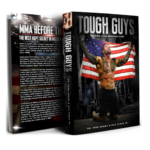 “Contrary to popular belief, the sport of MMA didn’t begin with the UFC in 1993. It was born in Pittsburgh between 1979-83. 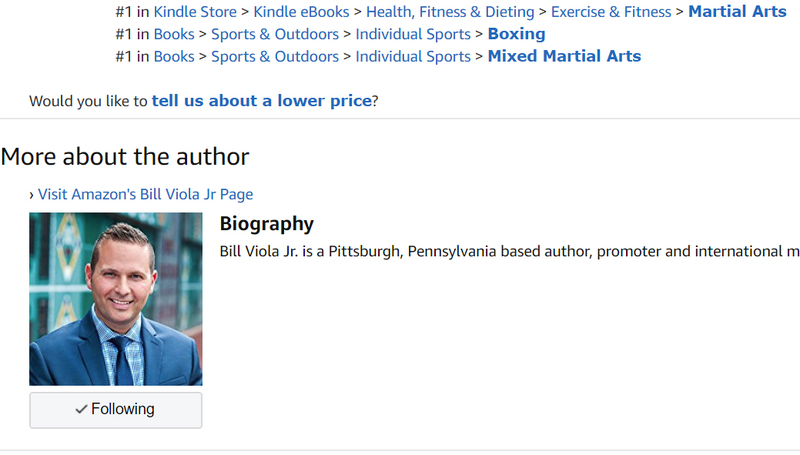 They were the pioneers,” says Viola Jr., who also is producer of the Kumite Classic the mecca for martial arts in Pittsburgh since 1999. Like anything wildly successful, mixed martial arts has an origin story that will always be in some dispute. While the most commonly told history of the modern sport involves Art Davie, Campbell McLaren and the Gracie Train, there are countless mixed style matches such as Muhammad Ali vs. Antonio Inoki that pre-date the inaugural UFC event. Among the most forgotten and the closest in both date and resemblance to UFC 1 is a promotion that was both wildly successful and short-lived. 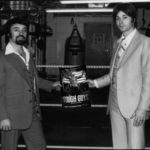 On March 20, 1980, in blue-collar New Kensington, Pa., karate enthusiasts Bill Viola and Frank Caliguri produced an event that invited martial artists of all styles to compete against each other in a tournament designed to determine the most effective fighting style. 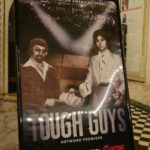 That little-explored show is the subject of a Showtime documentary, Tough Guys, which premieres on Friday at 9 pm ET/PT. Directed by W.B. 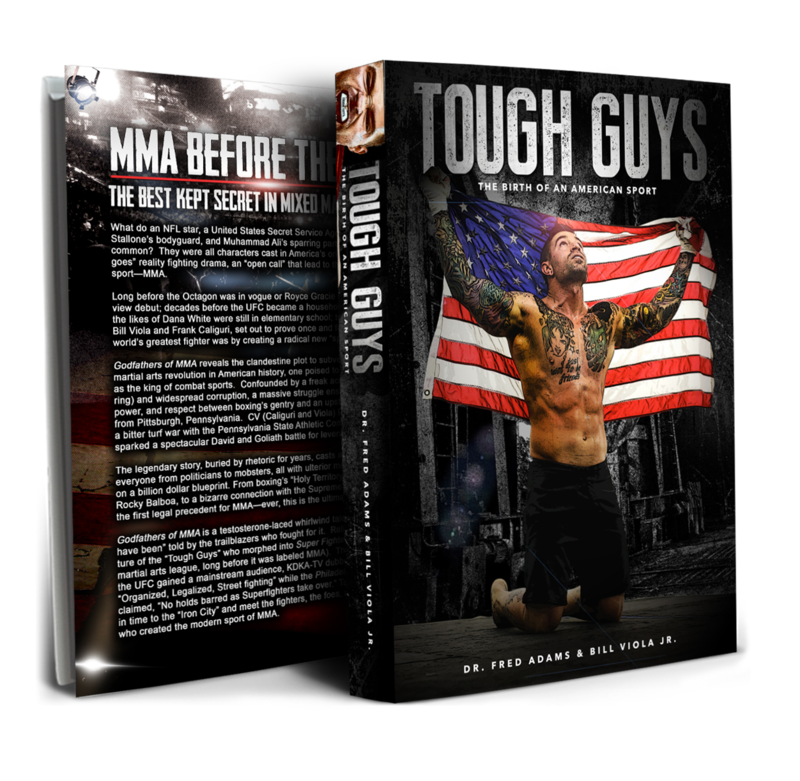 Zullo and Henry Roosevelt, and executive produced by former Academy Award nominee Morgan Spurlock, the 77-minute film casts a rightful spotlight on an event and participants that deserve a chapter in MMA’s history book. 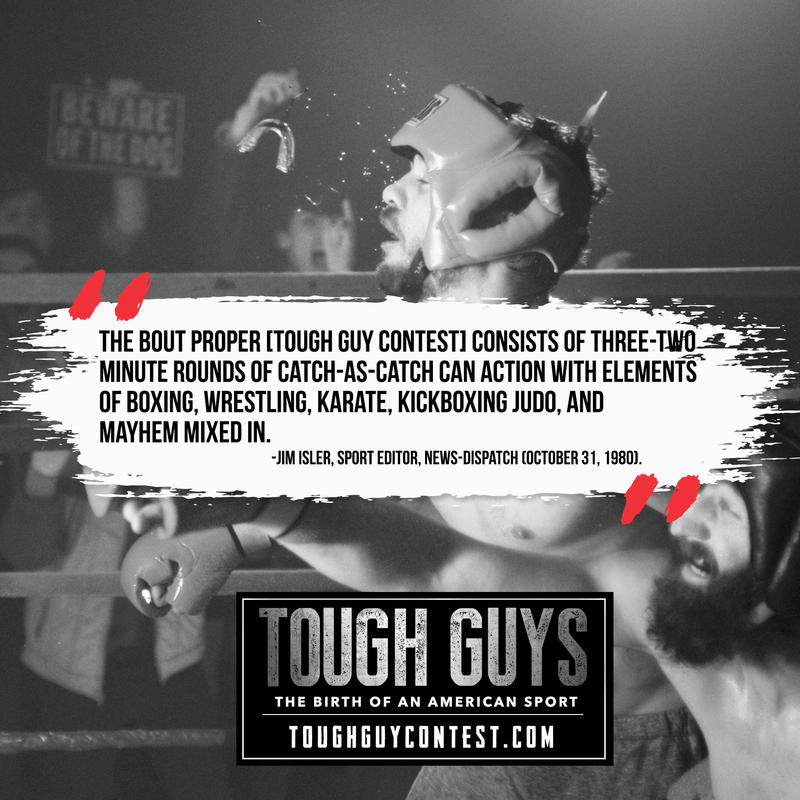 Spurlock, best known for the documentary Super Size Me and the immersive CNN series Morgan Spurlock Inside Man, has long been a fan of combat sports including mixed martial arts, and recounted a story of attending a Toughman contest in Beckley, W.V., as a 12-year-old, hearing the sharp crack of a punch to the jaw for the first time. 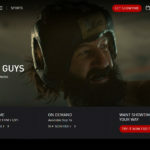 Presented the opportunity to work on this film, he immediately saw a through line from those early days to the multi-billion dollar business the sport has become. 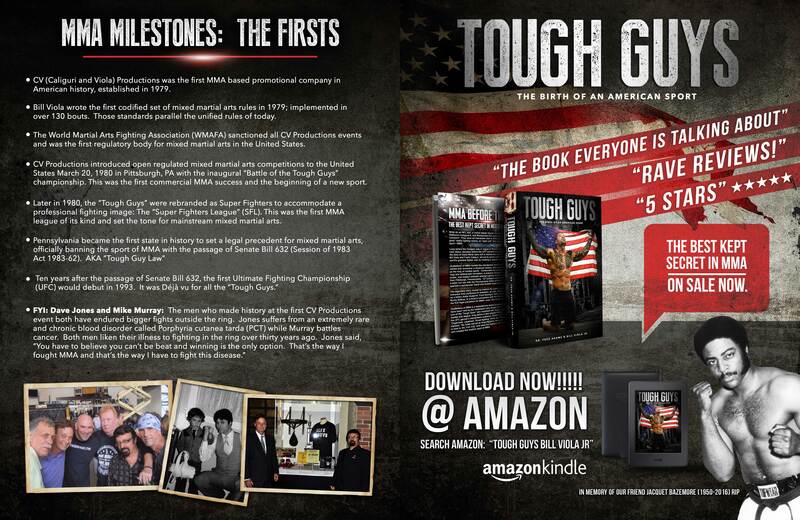 Tough Guys is notable not just for its forgotten slice of history, but for its characters. The promoters Viola and Caliguri naturally complement each other, the former charismatic and verbose; the latter stoic and reserved. 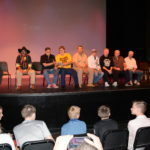 The competitors—amateurs with names like Danny “Mad Dog” Moyak, Michael “Mex” Lubiano and “Crazy” Jack Reynolds—have aged, but their fighting spirit lights up as they dust off their memories. 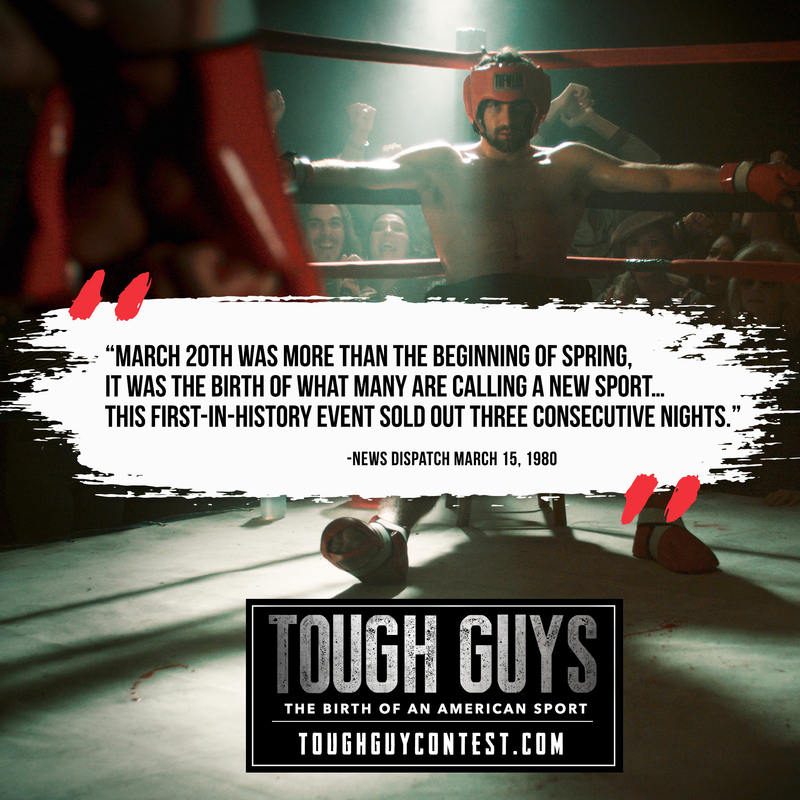 The film features rarely seen footage of some of those early fights, including innovations that pre-dated modern MMA such as open-hand, curved gloves to allow for grappling. Much like UFC 1, the event was advertised as “Anything Goes,” but that was mostly a marketing ploy. In reality, there was protective gear and a host of rules including prohibitions against eye-gouging, biting, fish-hooking, and intentional evasion of contact. 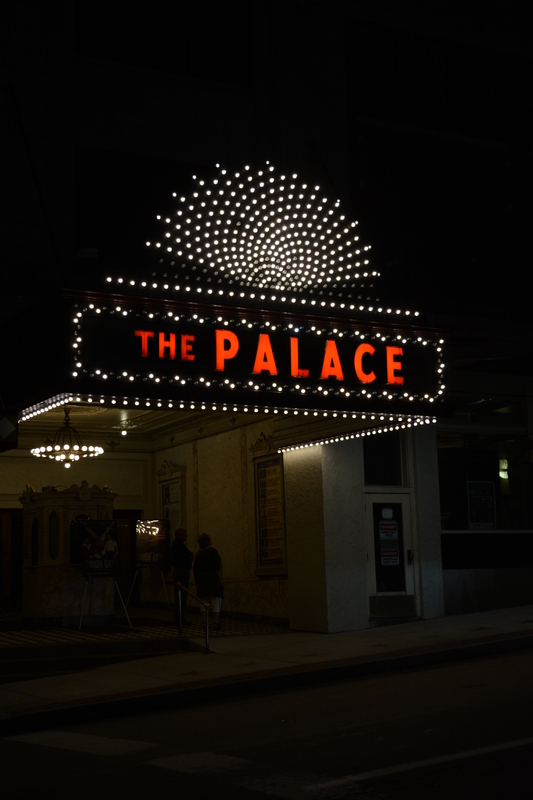 While the explosive rise of the promotion is compellingly told—about 3,500 fans packed a Holiday Inn for the premiere event—perhaps more even more intriguing is its rapid decline. 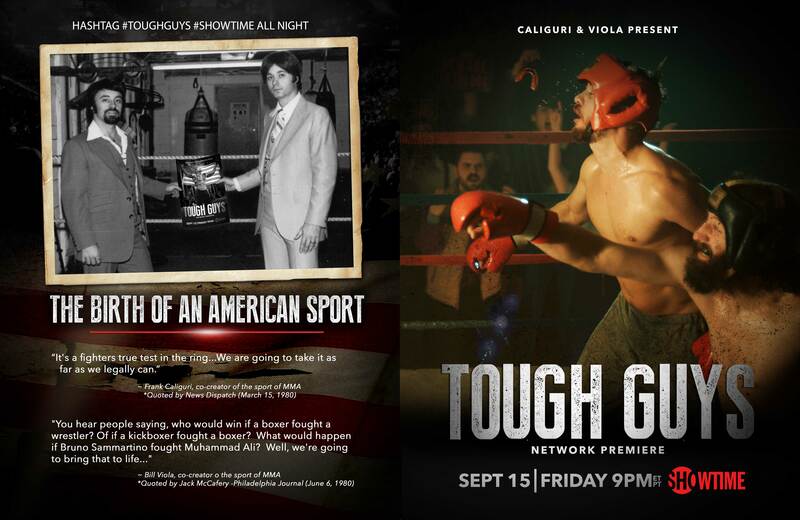 Unbeknown to Viola and Caliguri, a similarly named promotion—Toughman—had begun in Michigan. 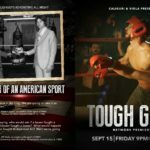 On the one-year anniversary of Viola and Caliguri’s first event, Toughman’s promoter Art Dore brought his show to nearby Johnstown, Pa. In their mind, Dore’s move was purposely designed to confuse the market and draw in fans who didn’t realize the difference (Dore’s Toughman was essentially amateur boxing). At any rate, during that show, a 23-year-old Marine named Ronald Miller was beaten badly and died shortly after competing. 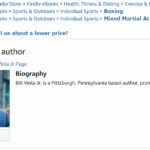 Tough Guys, which by then had already thwarted one attempt by the Pennsylvania athletic commission to shut them down, was soon in the crosshairs of state legislators. 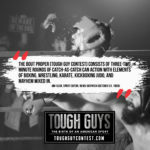 Just over two years later, the state senate passed Bill 632, specifically outlawing “Tough Guy” contests. Despite the fact that the death occurred in Toughman, the legislature didn’t include a single mention of that promotion. Whether the commission conspired with legislators to bait and switch the promotion’s name is unclear. 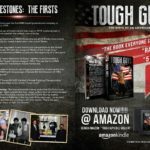 The documentary includes interviews with at least two politicians who suggested everything was done with integrity and that they were using “Tough Guy” as a general term. Former Senator Bob Mellow, who drafted the bill, said Tough Guys promoters deserve some of the blame for failing to make their own legislative proposal or coming forward when the legislation was going through assembly. What might have happened if they embraced regulation? To that, one can only wonder. As it stands, the legislation only affected Viola and Caliguri’s promotion while Dore’s Toughman continues to this day. Viola and Caliguri? As they recount the ordeal, they appear content in what they did, and say there are no regrets, even if sometimes they can’t help but wonder what might have been. 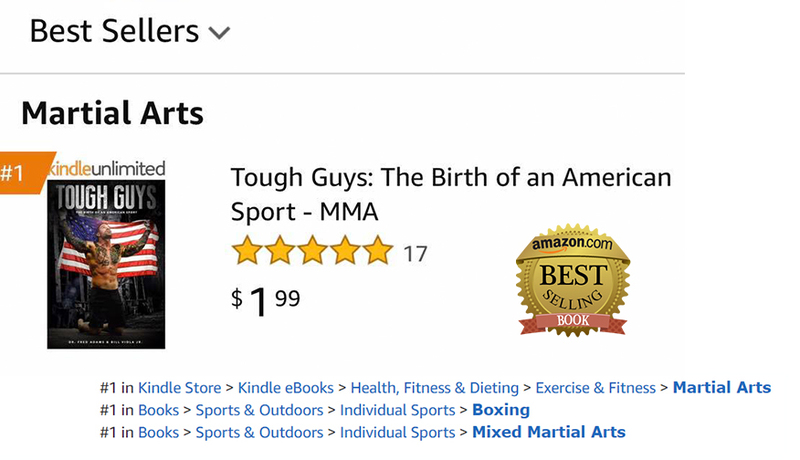 They are content with their only little slice of history, and the fact that now the world will know that before the Gracies, before the Fertittas and Dana White, there was Frank and Bill. 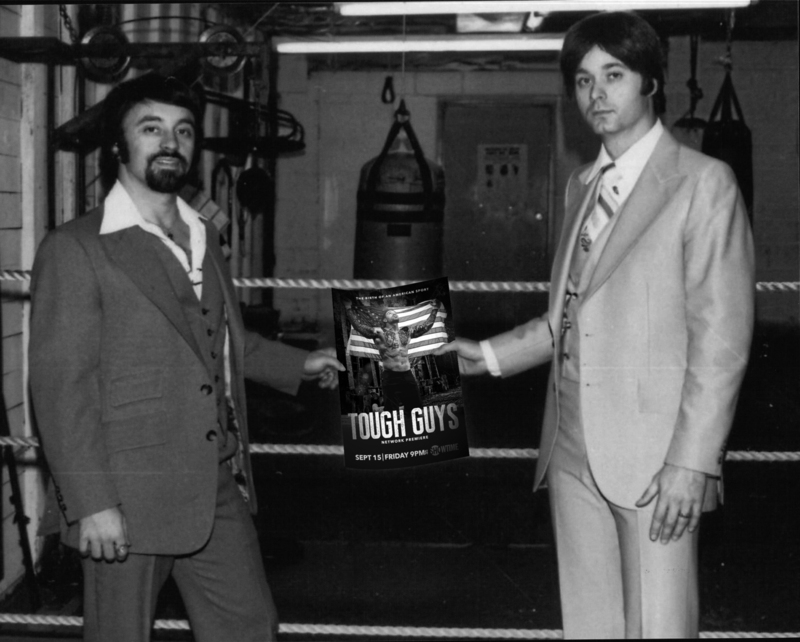 There was the Tough Guys.